As I am preparing the release of MAGE I am also preparing packs for my students to use to modify and learn from. 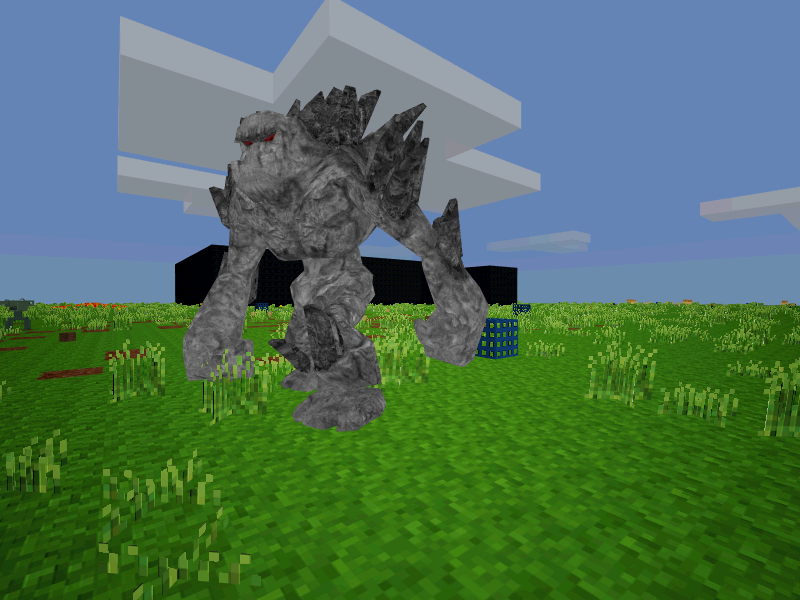 The first is a creature pack and also a plugin to use to convert models from Blender to the Minetest engine. 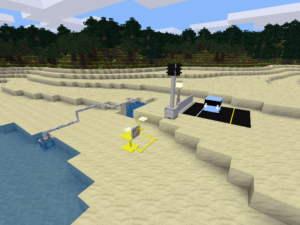 I’m also compiling links to the Minetest coding tutorials and references and to Lua itself. Soon will be Blender tutorials as well. I’m really hoping to get a rough version of MAGE out this week. Video Updates for MAGE aka Make A Game Experience! Welcome to hopefully the first of may updates for MAGE aka Make A Game Experience, formerly known as D.’s Sandbox. I hope to do a lot more videos in the future and we have a trailer for MAGE in the works. There are a lot of updates happening at MakeAGameFree.com including the release of a beta of MAGE soon, plus resources for coding, modeling, game design, etc. 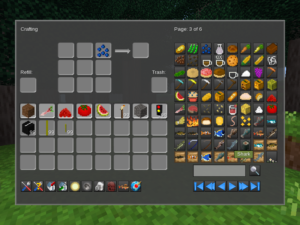 The goal is to turn MAGE not only into an easy way for people to create games, universes, and stories, but to also make it a learning tool so that users can learn the different facets of Game Design and become even better Game Designers. There is now a MAGE Newsletter for MAGE so if you’d like to receive updates please sign up! Soon I plan to release a software project called MAGE aka Make A Game Experience which aims to make it as easy as possible for everyone, both adults and kids to learn the different facets of creating a game such as Coding, Game Design, Gameplay Design, 3D Modeling, 2D Art such as textures and skins, Sounds, and Music. 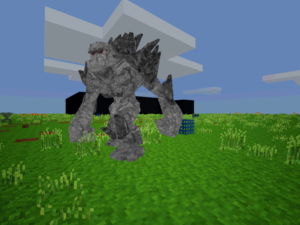 MAGE is based off the Minetest Engine which is inspired by Minecraft and Infiniminer and will feature gametypes such as a HouseAndCityBuilder mode mainly for creative, a Survival mode that focuses on trying to create a real life build a civilization from nothing experience, and time permitting a destruction mode featuring lots of lava, tornadoes and other fun ways for people to unleash their inner mother nature. There will be a version that is strictly for educational and school settings and another version that will provide the ability to have monsters and other less kid friendly inclusions. I will detail out what will be included in each versions so parents can make the decision on what they want their kids to have access to. 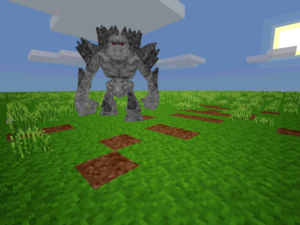 Regardless I don’t plan to add blood, or gore to either version so even the version with combat would be no more graphic than what is seen in Minecraft. I will also be updating the resources page with lots more great free software to use making your game! 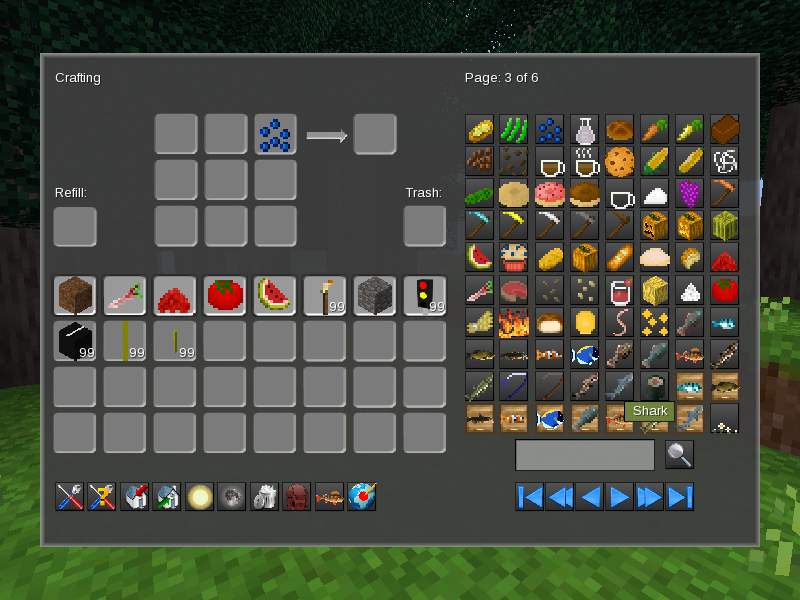 I am also planning on adding some MAGE / Minetest tutorials to help students and new users create their own blocks, items, features and mods. Please check back soon! The Make A Game Series Resumes! If people are interested I’m thinking about recording the steps and trials and tribulations of making this new game software. I will be created a mailing list soon too so lots of updates on the way! Thanks and take care! Indiestatik.com posted a really interesting article called Back To The Source – 20 Free Indie Games Built On Mainstream Foundations featuring 20 games that have been made using previously commercial engines and many of which went open source and game designers used to make a game! The article is very interesting because the engines of some of the games were for example built to make an FPS but instead are being used to make a strategy game or something else you might not likely expect. A really important thing to be sure to check before you ever consider any engine is the license. Some of these engines allow you to make a commercial game but some do not. Also a lot of game makers claim to be free but when you check out the license it turns out they aren’t and also give you a lot less freedom than you expected. Some of the games on there are also not exactly legal. Another reason it is really important to check out the license and also create your own IP is that let’s say you make a Star Wars Game or Mod that Lucasarts (I guess Disney now?) doesn’t like they can shut you down and all your hard work is gone, even if you’re making a non commercial game. 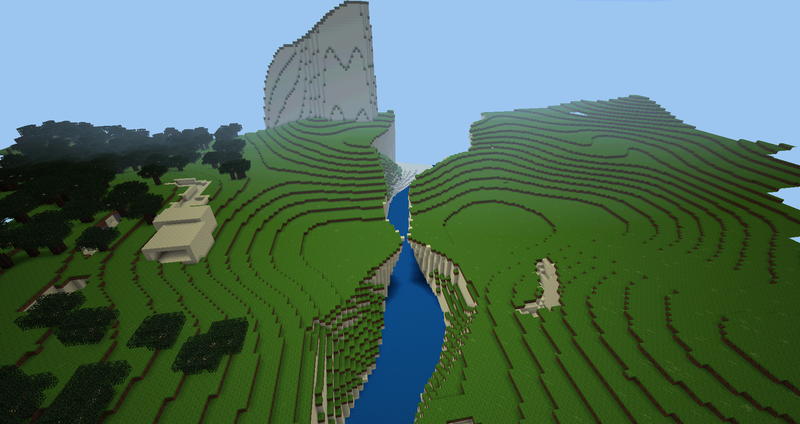 I hope you enjoy the article, I found it quite insightful and interesting especially since you can use some of those engines to make a game yourself! The towering (and possibly crumbling) monolith of AAA development aside, the line between mainstream and indie videogame development blurs a little further each day. The latest positive trend has been big-name studios releasing their full development suites (Unreal, CryEngine, Unity) to indie developers, free for non-commercial development and available to license at a steep discount otherwise. Before that came a great deluge of studios releasing the raw source-code for their older engines to hobbyist developers and, in rare, wonderful cases, even including the full original game content for fans to do with as they please, so long as it’s non-commercial. If you’ve ever thought about getting a job making video games, there are a lot of resources that are worth looking at. First you can check out job postings on craigslist and also Gamasutra has a whole job listing section. Also of course you can check out the webpages of various game companies and apply to their job listings directly. A formal education is helpful but often times what developers want is to see what you can do. Having some work that you’ve already done whether it be a mod, prototype, animation reel, portfolio, etc can be a huge help. My personal experience working on mods opened up huge doors for me. The most important thing is to actually create something. A lot of people try to create these crazy ambitious projects that fall under the weight of their own features. The key though is to make something small but fun and then if you want expand on it. Start with a foundation and build up. Here is a nice video to give you some insight! Tips from professionals on getting a job in the games industry, with advice for aspiring artists, testers, animators, designers, writers, programmers and students. We asked Valve’s Chet Faliszek, Total War’s lead artist Kevin McDowell and Deus Ex: Human Revolution for pointers, and heard from university recruiters at the GamesIndustry Fair at Eurogamer Expo 2012. Matthew Jeffery of EA gives a very interesting talk about the process of making a video game and the attitude and motivation that is required to do so. A really insightful video on how to make a video game! Here is the video info and it is around 50 minutes long but definitely worth watching! DwarfCorp is a RTS game about ruthless capitalism in a fantasy world. You’ve been hired as Regional Manager for Greybeard and Sons Company to explore and exploit new territories. As Regional Manager, you’ll need to prospect the best location, and send a scouting party of dwarves in a balloon. From there, it’s up to you to make sure your dwarves survive long enough to mine precious gold and mana rock. Use your profits to hire new employees and buy equipment! Only the most ruthless capitalist will prosper! They were able to raise 45k for their 20k goal, that’s over double what they were asking for! It’s always very good and interesting to take a look at successful Kickstarters and see what they did right. One very interesting thing they did was had the early bird rewards where the first 375 received the game at a discounted price. Also the organization is very clean and there is pretty graphical art included. Presentation is everything with a Kickstarter including making a good video or two it looks like in their case. I’m sure it also helped that their game looked like Minecraft but along with that they showed straight away the Gameplay. For any successful Kickstarter and even Steam Greenlight project it is important to make sure you show off gameplay because people want to know what they are going to get. Post Mortems are very interesting because it is when a Game Developer talks about what worked and what didn’t. Recently Crypt Run posted a Post Mortem about what worked and didn’t work from their Kickstarter Project. Kickstarter is definitely something to consider if you ever want to make a game because it can help fund your budget instead of having to use your own personal money. Crypt Run ended up reaching 180% of their goal. Check out the article and enjoy and hopefully you find it insightful and it helps you when you try to make your own game! This page is going to be dedicated to interesting articles, resources and whatever other useful content I can find to help people make a game! Check back often because I plan to post new content and/or articles at the very least once a week! Thanks for your support and if you want to get more insight on an actual game being made from start to finish check out SandboxGameMaker.com as the Devs for D. The Atom Shifter post content about the development process!